Born in Chicago, Ronald Ahlström graduated from the School of the Art Institute, where he frequently exhibited his collages and paintings in the Chicago and Vicinity exhibits of the 1950s and 1960s. He also showed at Exhibition Momentum in the ’60s, and was selected for the Corcoran Biennial. 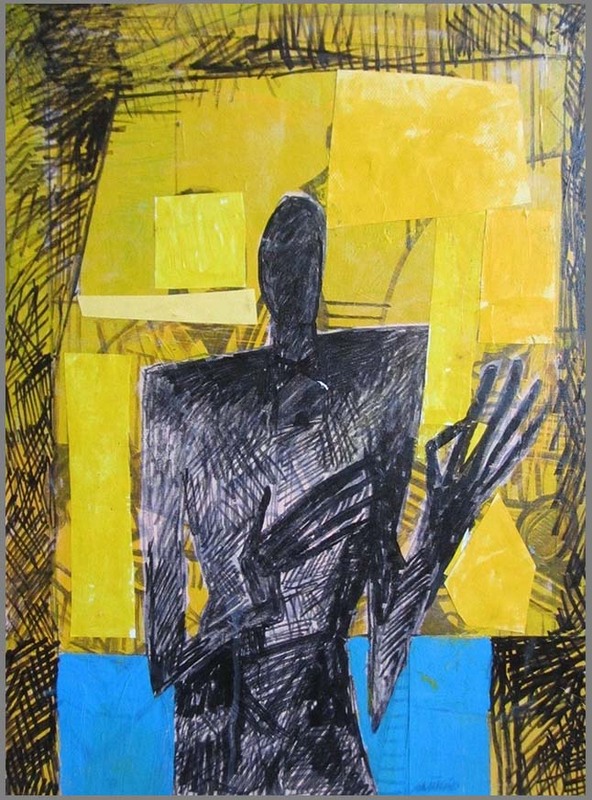 Together with his colleagues and fellow-abstractionists Robert Nickle, Morris Barazani, Harry Bouras, George Kokines, and George Waite, he exhibited at McCormick Place in an independently produced survey of contemporary Chicagoans, circa 1962, under the banner 12 Chicago Artists. An adept and sensitive painter, Ahlström’s most personal work is as an abstract expressionist collage maker. Using strips of paper, sometimes weathered and beaten into rough hewn surfaces, he creates immaculately layered, lively, gestural compositions. Art Institute of Chicago Annuals, 27 Corcoran Biennial in Washington DC, 12 Chicago Artists, 50 Chicago Artists European Exhibit at the US Information Agency, College and Construction, Hyde Park Art Center, Chicago, Chicago Artist’s 1963, Tacoma Art Museum, Washington, Henry Gallery, University of Washington, Seattle, 50th Northwestern Annual, Seattle Art Museum, Chicago Invitational, University of Illinois, and many more. Barat College, Lake Forest Il. Rodger Wilson Gallery, Chicago, Il. Touchstone Gallery, New York, NY. Joseph Faulkner, Main Street Galleries, Chicago, Il. Abel Fagan Prize, Festival of Fine Arts, Lake Forest, Il. Ford Foundation Purchase Prize, Seattle, Wa. Phibrook Art Center, Tulsa, Ok.